With the rise of life expectancies over the past decades, the challenge of retirement planning has become more formidable. As the average longevity for seniors has increased, questions such as when to begin collecting pension payments or retire from the workforce are more difficult than ever to answer. And for married couples, planning around the decumulation phase is an especially thorny problem. “The problem is that married couples don’t always take a holistic approach when accounting for how life expectancy impacts their retirement plan,” wrote Benjamin Harris, the executive director of the Kellogg School of Management’s Public-Private Interface, in a column for the Wall Street Journal. Harris noted that a married husband and wife both at age 65 each have a substantially higher chance of living to a given age than if they were single. Citing figures from Vanguard’s life expectancy tool, he said a 65-year-old man has an 80% chance of living at least another decade, a 41% chance of surviving for two more, and a 6% chance for three. A woman of the same age, he said, faces probabilities of 85%, 53%, and 13%, respectively. But for couples at that age, the chance of at least one partner surviving another decade is 97%; for two decades, it’s 72%, and 18% for three decades. “[T]hinking in “probabilistic” terms doesn’t just mean spending retirement assets more slowly,” Harris stressed. 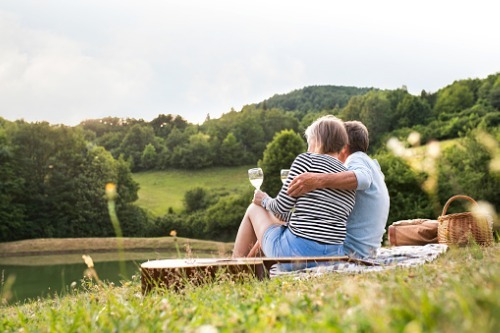 Since there’s a 32% probability that at least one member of a retirement-age couple will pass away over the next decade, it may be worth considering whether they should spend more of their hard-earned savings to enjoy their time together. To improve the chances of a sound retirement, he said, staying for even just six months longer in the workforce could have a considerable effect. Another popular choice among academics focused on retirement — though not as well-known among consumers — is deferred annuities that take effect at more advanced ages, possibly around 80 or 85.